British Prime Minister Theresa May has reiterated that a European Union divorce deal endorsed by the bloc on Sunday was the “only possible deal” that would provide control of UK borders and budgets while maintaining close cooperation with EU regulations that was good for business and the security of the broader region. “In any negotiation, you do not get everything you want … I think the British people understand that,” said May in a news conference after the EU summit of leaders in Brussels on Sunday. May said that if the British Parliament approved the Brexit deal, Britain would usher in a “brighter future”. However, lawmakers from across the political spectrum, including those from May’s own Conservative Party and the opposition Labour Party, have said that they would reject the Brexit agreement once it comes for final approval. They have been at odds with May over an array of issues, including her style of negotiation, her concessions to the EU on Northern Ireland and Gibraltar, and her way of selling the deal to the British public as the only solution available. A potential rejection of May’s Brexit deal in the House of Commons could lead to various scenarios, including May’s resignation, which the premier declined to comment on when asked during the news conference in Brussels. After approving the Brexit deal, EU leaders told members of the British parliament that the agreement, reached after two years of negotiations, will be the only one possible and could not be renegotiated. 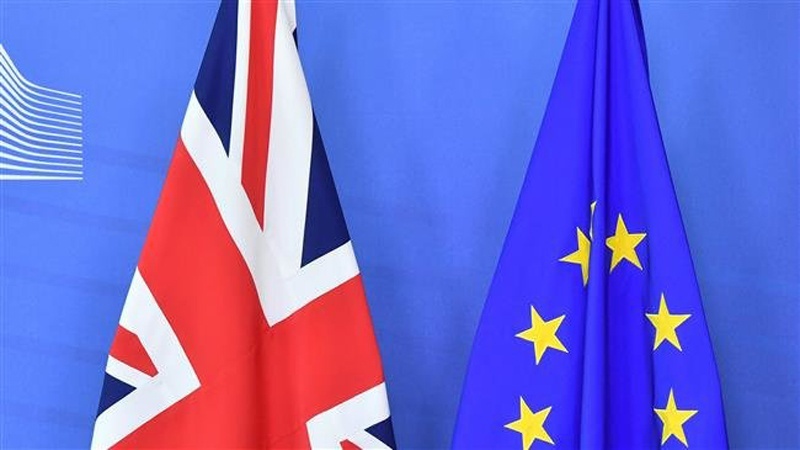 European Commission President Jean-Claude Juncker told reporters in Brussels that the deal was the best Britain could secure for its planned withdrawal from the EU on March 29, 2019. “Those who think that, by rejecting the deal, they would get a better deal, will be disappointed,” said Juncker while referring to critics of British Prime Minister Theresa May’s Brexit strategy. Other European leaders also welcomed the Brexit agreement, with German Chancellor Angela Merkel, whose country is EU’s dominant economic powerhouse, calling it a “diplomatic piece of art” which allowed a “tragic” separation of Britain from the EU, but also set the basis for a “close partnership” in future. The Brexit deal, rubber-stamped after only 30 minutes in the EU summit on Sunday, includes a lengthy, 600-page withdrawal agreement, which sets terms of Britain’s divorce from the bloc, and a short document of 26 pages, entitled the Political Declaration, which defines the general terms for future trade and security cooperation.